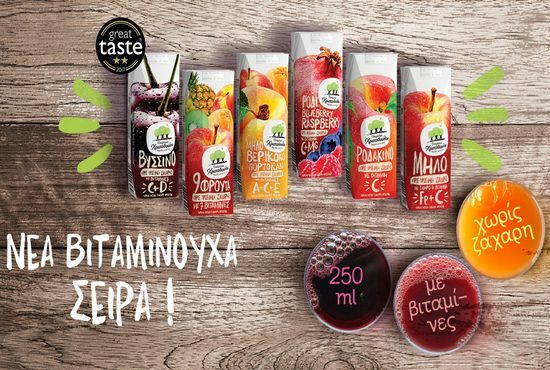 A unique juice range in Greece! 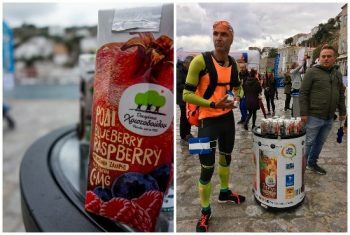 Imagine a fruit juice squeezed within 24 hours of harvest with no added sugar or preservatives. Doesn’t it sound nice? 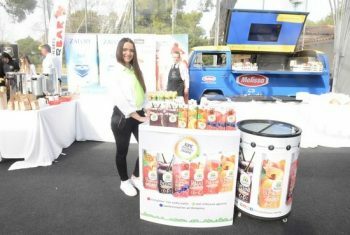 What would you say if this juice was enriched with the necessary amount of vitamins that meet the daily nutritional needs of adults and children & help maintain good health? The new Chris Family vitamin juice range with no added sugar, is available in 6 unique flavors: apple with vitamin C + Iron (Fe), pomegranate-blueberry-raspberry with vitamin C+Magnesium (Mg), 9 fruits with 7 vitamins, peach with vitamin C, apricot-apple-orange with vitamins C+E+A and sour cherry with vitamins C+D. The new vitamin juice range is available in 250ml packs, ideal for school, sport activities or any time of the day!